Unbelievably it’s already Christmas! Three months ago, our Plurilingualism Team started to tell our stories in this blog. However, it feels as if we started yesterday! During these months, we have introduced you our Plurilingualism Promotion Plan, pointing on the importance of international experiences and languages learning. We have found some entertaining ways to learn languages, anecdotes, international stories and practical information. Week by week, we have presented you different countries and universities, from Italy to China, thanks to the international students at our University. We hope you enjoy our writings and we would like to thank you for following us and motivating us to continue bringing you interesting information. From the Vice-Chancellorship of Internationalization, we wish you Merry Christmas and a Happy New Year! See you in 2012! Plurilingualism Promotion Plan Meetings, Be updated! Many professors at the University of Almería are aware about the Plurilingualism Promotion Plan and the importance of language learning in Higher Education. However, due to the youth of our program, it is necessary to promote our project and to make it known to as many professors as possible. That is the reason why the Vice-Chancellorship of Internationalization is organizing informative meetings about the Plurilingualism Promotion Plan. They are the best opportunity for the future bilingual professors to express their opinions, suggestions and fears about this new challenge. Our Plurilingualism Team will show the new Call for Proposal for the Plurilingualism Promotion Plan and they will reply any question or doubt to the audience. These conferences are taking place in all the faculties of our university. We already successfully visited the School of Engineering and the Faculties of Psychology, Education and Humanities. On Tuesday 13th December, we will be at the Faculties of Economy and Law. And on Thursday 15th December, you could find at the Faculties of Experimental Sciences and Health Care. We hope to see you there and to share with you our Program for this academic year! Take part in the International side of the University of Almería! Thanks to the amount of Polish students at our university, we have had the privilege of receiving the visit of the leaders of the prestigious National Defence University of Warsaw. Jarosław WOŁEJSZO, Dean and Professor of the Faculty of Management and Economics, Jan POSOBIEC, Professor and Director of the Armed Forces Institute, and Piotr Gawliczek, Captain of the Navy and president of the National Defense University of Warsaw, Akademia Obrony Narodowej, visited the facilities of the University of Almería, and met the Vice-Chancellor of Internationalization and Development Cooperation, Maria Sagrario Salaberri Ramiro. During the university tour, the rector and directors had the opportunity to visit our campus, our research buildings, being the CIESOL one of the most outstanding centres for them, as well as other UAL infrastructures, like the Library, which was the buildings that had the deepest impact on them. “Our library has over a million copies, and it is the third biggest one inWarsaw. However, this is in a unique environment, what makes it wonderful.” said the rector. At the National Defence University of Warsaw, as in our university, all the faculties share the same location campus. Moreover, explained the Dean, the classrooms, the facilities and the organization are very similar. They are looking for new and innovative ideas to implement and upgrade their systems and installations. Due to that, they showed interest in the structure and activities that are being developed within UAL, mainly related to the students and new graduates. One of the more commented measures was the UAL student card, which can be used as a debit card thanks to the agreement of our University with the financial entity, Cajamar. The University of Almería has signed a bilateral agreement under the framework of the Erasmus Program with this Polish University, especially for the following areas: Business, Humanities and Work relations. Because of this, and due to the recent huge Polish growth, a large number of Polish students are studying in our classrooms the new degree courses in Economics, Tourism or Marketing. From the Vice-Chancellorship of Internationalization, we hope that this visit will be a starting point for new agreements in other fields of study, as well as other academic collaborations, really beneficial for both universities. Embarcate ya! Now boarding! Plurilingualism Call for Proposal, Join a language trip! The Plurilingualism Promotion Plan is an innovative programme promoted by the University of Almería and this academic year it is celebrating its 4th birthday. Since 2009, the Plurilingualism Promotion Plan has been motivating teachers and students to improve the language learning at our university, by teaching official subjects in foreign languages. – Having, at least a B2 level of the language you want to teach the subject in. – And lots of other advantages! There are professors, who are already participating in our programme. Do you want to be another one? Be updated and keep on learning languages. The application deadline is 17 January 2012. Join the Plurilingualism Project! Visit UAL website, our Facebook site and follow us on Twitter to get more information! Find your future career: Spend some advantageous months at an International company! For new graduates, finding a job is a pretty hard task. The lack of experience and the critical situation that countries are currently facing are added factors to this labor problem. Moreover, nowadays it is compulsory to fill a lot of requirements to enter in a company, such as language knowledge, a competitive degree, good personal and technical skills, among others. However, being pessimistic is not the solution! Have you thought about looking for international traineeships? The University of Almería offers its students the opportunity to work in different companies, like enterprises, training centres, research centres and other organizations in the European Union, within the framework of the Erasmus Practices Program. Participating in this kind of scholarships will help you improve your possibilities on the labor market, developing your teamwork spirit, communication skills, cooperation, professional experience and language knowledge. You will get in touch with international companies and have the chance to be part of their reality. Erasmus internships can last from 3 months to 12 months, depending on the company, country and other factors. Do you know a company or other kind of organization interested in accepting students? You only have to contact them! However, if you don’t know any of them, don’t worry! Our International Office will publish traineeships offers. You just have to choose your one! If you are interested in this program or you have more questions, visit our site in the Webpage of the University. Don’t miss this opportunity! A world full of possibilities is waiting for you! Have you already done an internship in a foreign country? Tell us your experience! Chocolate smell is in the air, waffles shops surround you, fries in every corner and best beers in the world in every pub. Welcome to Belgium! Greet and Sophie, 2 Belgian girls are studying one semester in Almería, as Erasmus students, but…how is language learning in Belgium? Language learning is compulsory in Belgium. “In the Flemish part of Belgium, children begin to learn French when they are in their 5th year of elementary school, or in their 3rd year when they live in specific cities around Brussels. In the French part, they have to start learning a second language (they can choose between English, German or Dutch) in their 5th year of elementary school. However, in the German part of Belgium, French Education begins in the kindergarten.” Greet tells us. 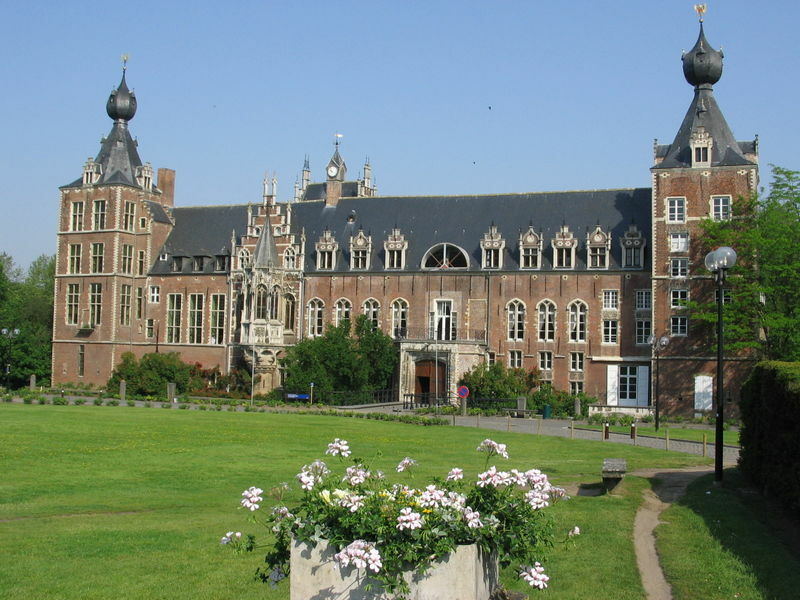 Greet is studying at the Catholic University of Leuven. She studies Clinical Psychology for children and adolescents. “You can study some classes in English, as in the University of Almería, but very often the classes and courses are taught in Dutch and just the required books are in English.” Greet comments. Sophie studies Applied Economics at the Ghent University and, in this case, she has almost all her subjects in English, such as Business planning and Entrepreneurship. 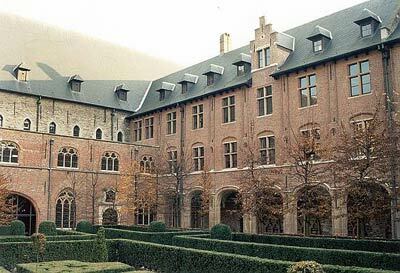 To obtain their degree, Belgian students don’t need any language certificate, as we analysed in other countries. “You don’t need a language certificate, since everybody in Belgium has a basic level of English, especially people, who go to University.” Sophie explains to us. In the future the girls want to freshen up their French knowledge, but at the moment they are concentrating on learning Spanish.